The thing about Kelly Olynyk is he can't be scared to post LeBron. He may lose the battle but he has to show he's tough enough to try. Cavs in the free-throw penalty for the final 9:48. 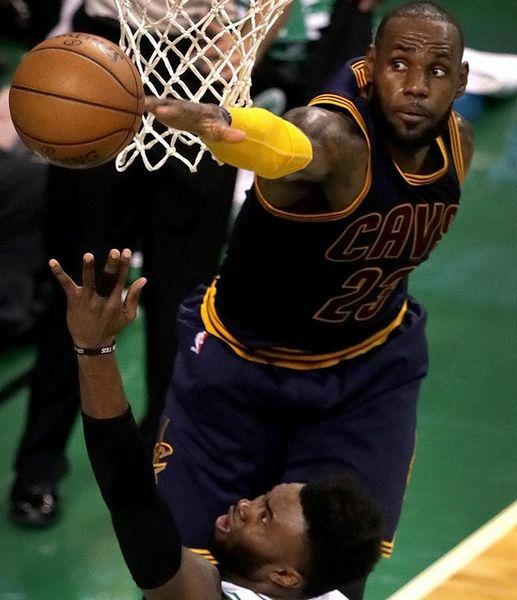 Even though the Celtics are still down 19, crowd really liked seeing Jaylen Brown draw and-1 on the break vs. LeBron. Hope for the future. Just Deron Williams' second double-digit scoring game of the playoffs. Has 12 with 3:20 left in second quarter. Good number of empty seats again here tonight. Been surprising this series, though I'm not sure how outrageous prices were. Brad Stevens just got about as mad as I've ever seen him get after that goaltending call. #Celtics trail #Cavaliers 75-57 at half. Bradley 19, Crowder 11; James 20, Deron Williams 14, Love 12, Irving 11. Going to be very interesting to see who offers Kelly Olynyk what in the offseason and whether the #Celtics match. 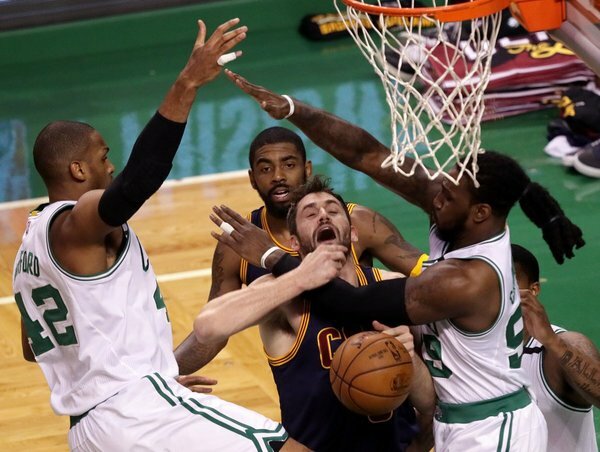 Kyrie Irving is just crushing heads out here. 11 points in the first three minutes of the third. In the last two games at TD Garden the Cavs have outscored the Celtics 227-154. 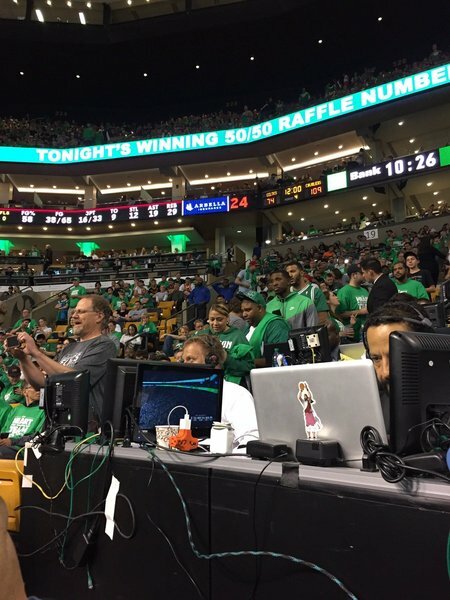 Power move by @Scalabrine , refusing to take a pic with a dude in a LeBron jersey. Now LeBron just teeing off on the Celtics. Another beat-down. #Celtics trail #Cavaliers 109-74 after 3Q. LeBron has 35 and passed MJ as all-time playoff scorer. Irving 24; Bradley 23, Crowder 11. Earth to Marcus Smart: That's your turnover unless you possess telepathy. Stop barking at Jaylen Brown. I'll listen to theories that LeBron was just screwing around in Game 3. If Richard Jefferson scores a basket they should just stop this game. Being scored on by the elderly is an indignity I can't bear to watch. Cavs are now a +104 in this five-game series.